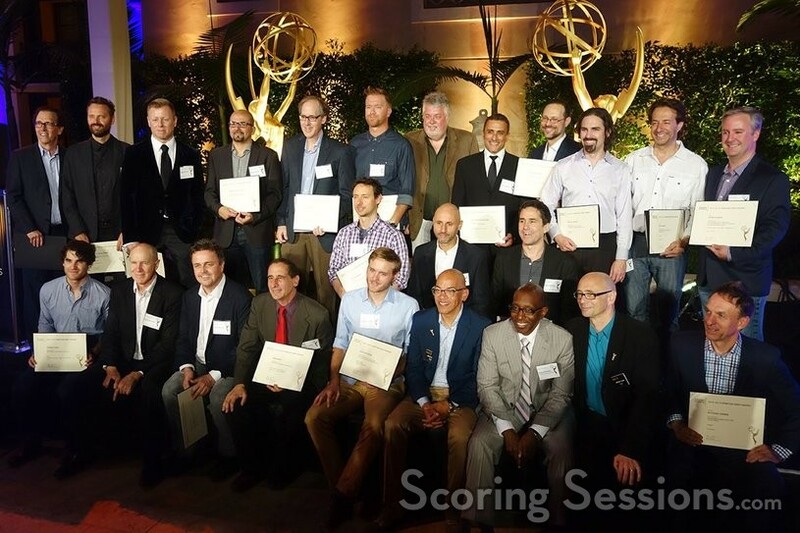 The Academy of Television Arts and Sciences and the Society of Composers and Lyricists (SCL) just held their annual reception honoring the Emmy nominees in the music Song categories. 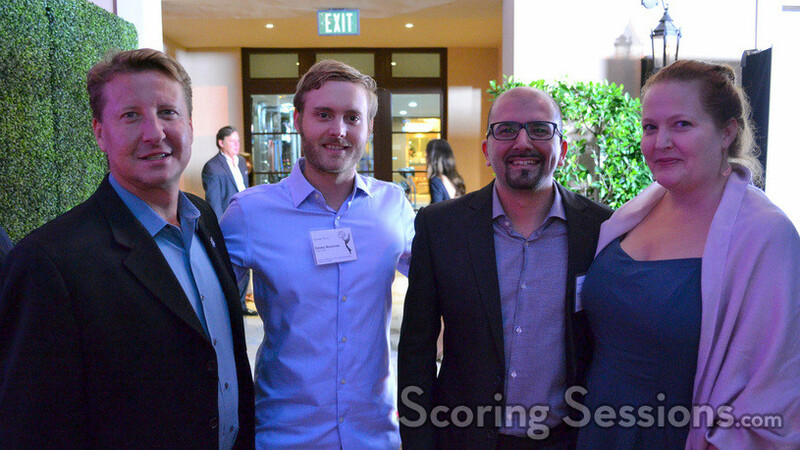 This year the festivities were held at Montage in Beverly Hills, and we’re pleased to bring you a little look at the shindig! 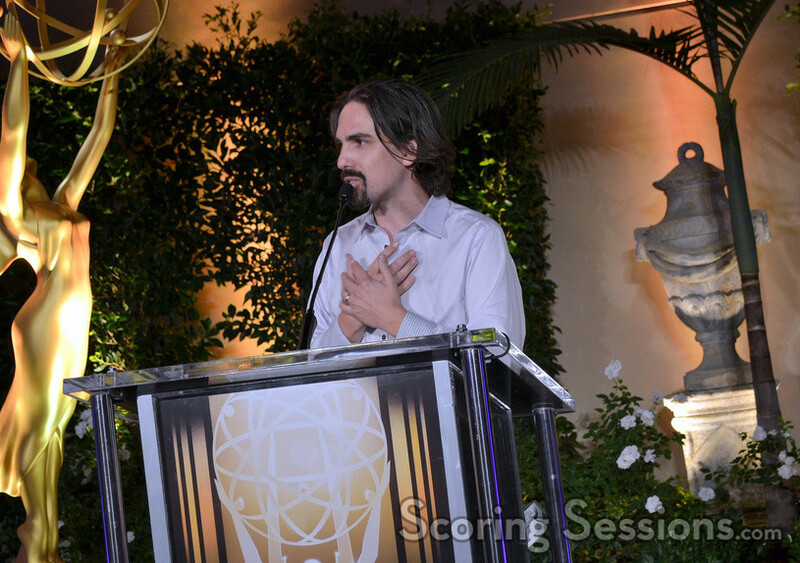 All of the nominees in the category of "Outstanding Music Composition for a Series (Original Dramatic Score)" were present: Dunan Thum (Chef’s Table), Jeff Beal (House of Cards), Bear McCreary (Outlander), Murizio Malagnini (The Paradise), Abel Korzeniowski (Penny Dreadful) and Jeff Danna and Mychael Danna (Tyrant). 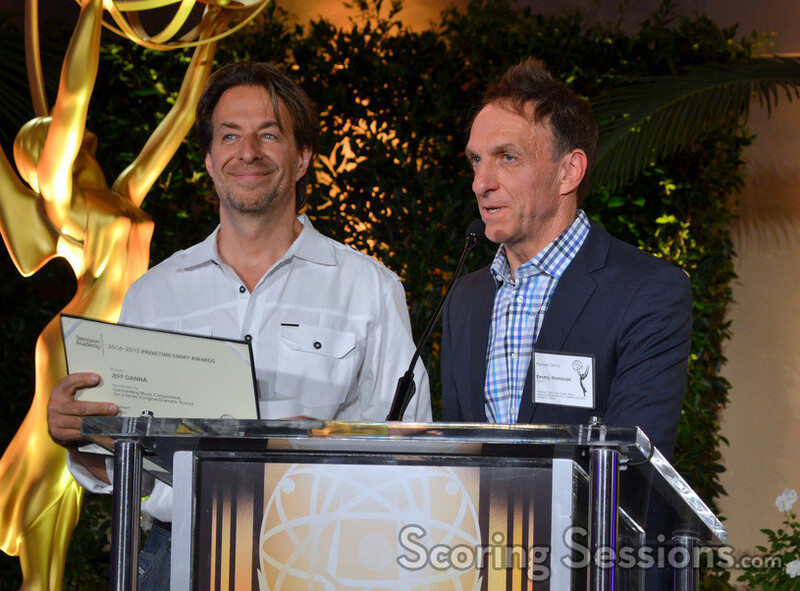 Dramatic Score)": Mac Quayle (American Horror Story: Freak Show), William Ross (Away and Back), Dominik Scherrer (The Missing), Kevin Kliesch (Sophia the First: The Curse of Princess Ivy), and Sean Callery (24: Live Another Day). Unable to attend was Rachel Portman (Bessie). 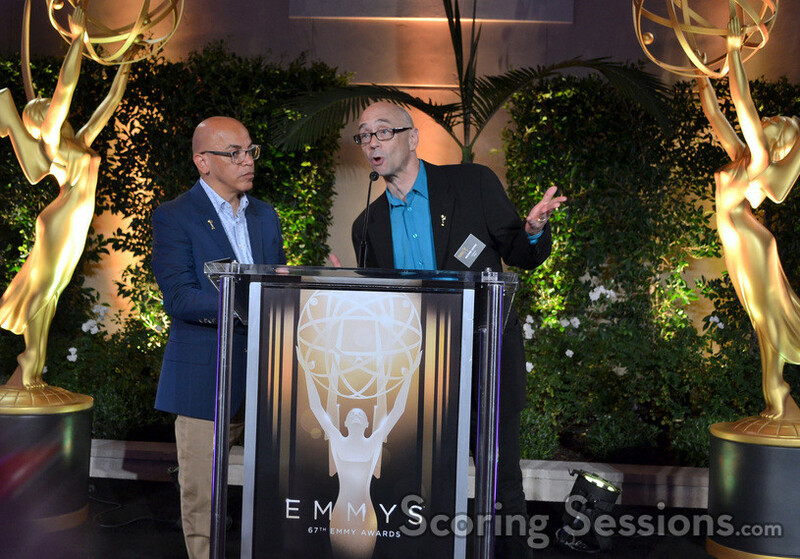 Only three nominees in the category of "Outstanding Music Direction" were in attendance: Matthew Sklar and Christopher Guardino (Elf: Buddy’s Musical Christmas) and Greg Phillinganes (Stevie Wonder: Songs In the Key of Life). 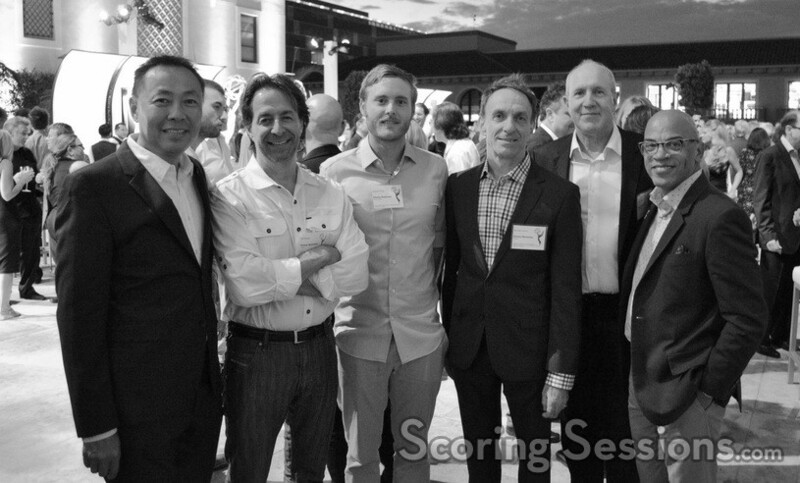 Unable to attend were Rob Berman and Rob Mathes (The Kennedy Center Honors), Stephen Oremus (The Oscars), David Chase (Peter Pan Live! ), and Alan Gilbert (Sweeney Todd: The Demon Barber of Fleet Street). 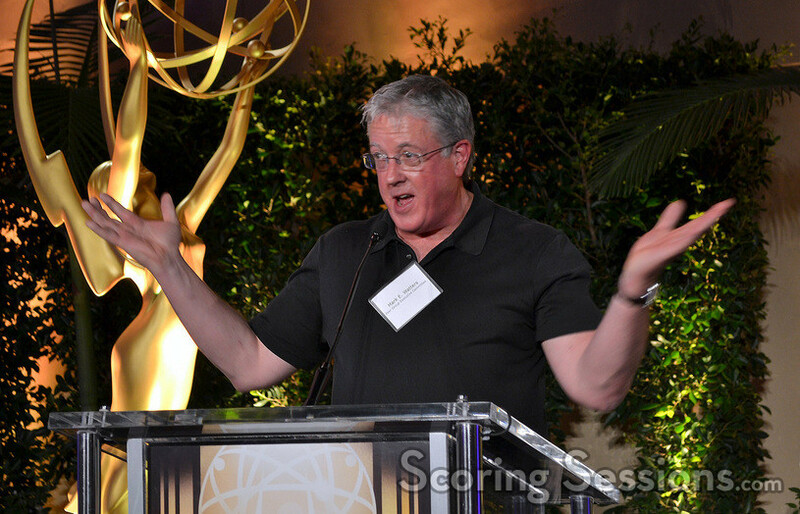 In the category of "Outstanding Original Music and Lyrics" (aka songs), Darren Criss (Glee), Walter Murphy and Mike Reiss (How Murray Saved Christmas) and Kyle Dunnigan and Jim Roach (Inside Amy Schumer) were able to attend. Sadly missing were Kristen Anderson and Robert Lopez (The Comedians and The Oscars) and Bob Thiele, Kurt Sutter and Jake Smith (Sons of Anarchy). 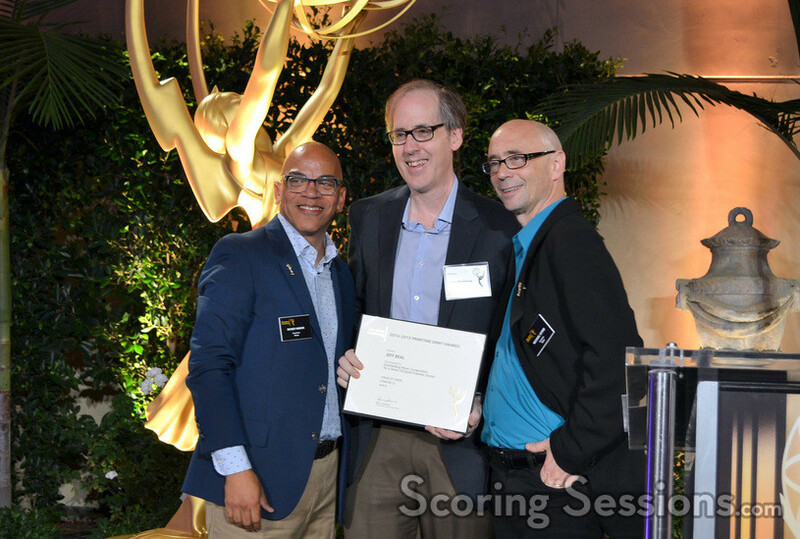 Finally, in the category of "Outstanding Original Main Title Theme Music", Jeff Beal (The Dovekeepers), Abel Korzeniowski (Penny Dreadful), Dustin O’Halloran (Transparent) and Jeff Danna and Mychael Danna (Tyrant) were there. 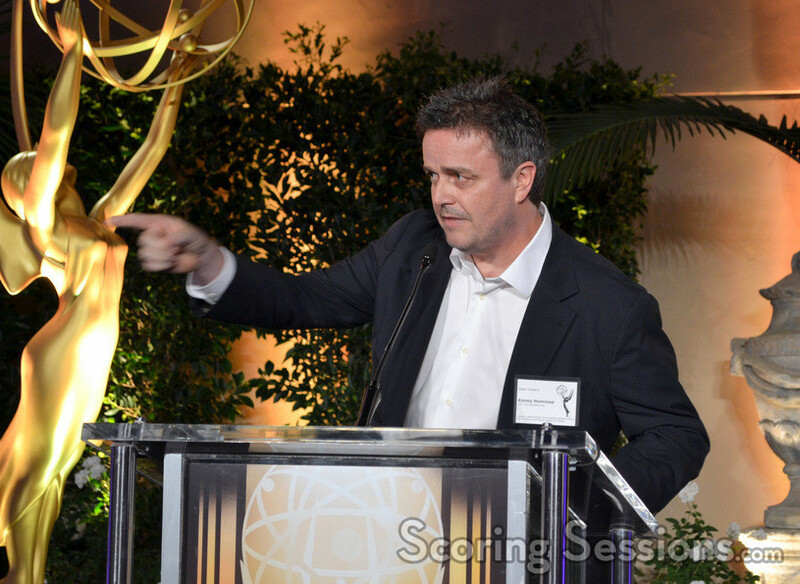 John Debney and Bruce Broughton (Texas Rising) as well as Daniele Luppi (Marco Polo) were unable to attend. 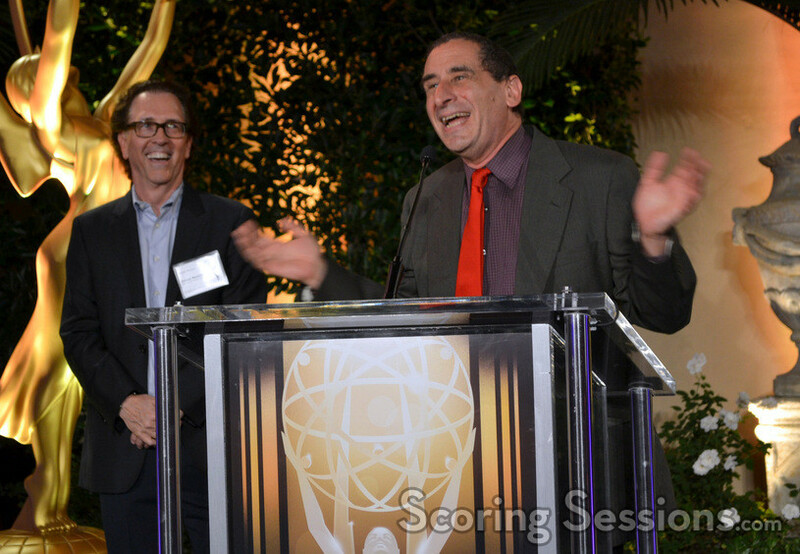 The nominees were announced to the assembled guests by Television Academy Governors Rickey Minor and Michael A. Levine, as well as SCL President Ashley Irwin. 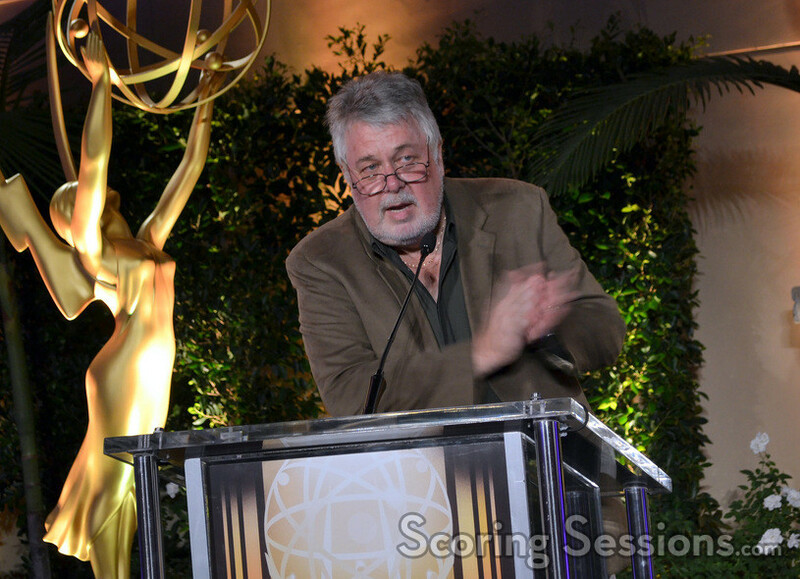 Former SCL President (and former Television Academy Governor) Mark Watters also spoke to the gathering. The Creative Arts Emmy Awards will take place tomorrow night, September 12, 2015, at the Microsoft Center in downtown Los Angeles.